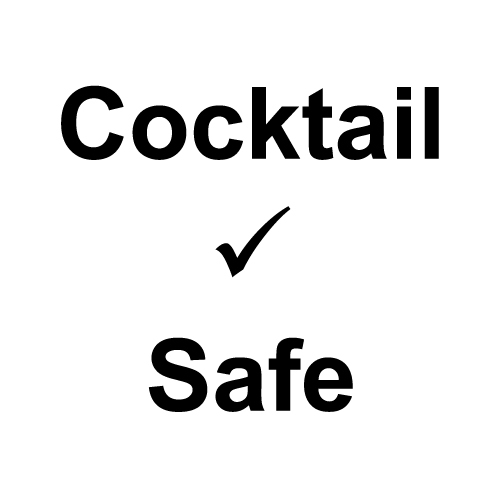 CocktailSafe provides information on safety in cocktail ingredients and techniques. We could use your help in expanding our content and reach. We accept donations and are open to co-branding opportunities. Please share links to CocktailSafe.org on your social media platforms. The more links to this website, the stronger the search engine ranking, and hopefully that leads to more people learning about and practicing safe cocktails. And if you see a bar using unsafe ingredients or techniques, by all means please share a link to the relevant page on CocktailSafe! We gladly accept cash donations! The button below takes you to PayPal where you can donate any amount using your PayPal account or a credit card. Please note that CocktailSafe is not a nonprofit organization at this time (due to the expense of forming a nonprofit) so your donation is not tax-deductible, but much appreciated. Please request that your bartender staff check with CocktailSafe when using new equipment and ingredients. Please have management review new drinks on menus checking with CocktailSafe before launching. This step could prevent injuries, lawsuits, and even the loss of a liquor license. We'd love any help promoting CocktailSafe on your websites and social media. In the future, we may be able provide more information and resources, such as safety posters to display in back offices, or mini-guidebooks of CocktailSafe information to hand out to employees. If this is of interest, please send us a note and we'll be in touch. We are also able to provide speakers for group trainings and talks. The initial grant by the Tales of the Cocktail Foundation provided funds to build the first stage website and host it on the web for several years. However we could use your support to take things further! We hope to partner with individuals and brands to expand the reach of this crucial safety information. We'd like to expand the material on CocktailSafe to cover more regulations from non-USA countries, including Canada and the European Union. We'd also love to get the information out there in other ways through printed materials and talks. Hire a Speaker: You can book us to speak to bar staff, brand ambassadors, cocktail competitions, conferences, or other groups. Camper English has already given several very well-received talks on CocktailSafe topics. Recipe Review: Hire us to review your beverage menus or cocktail competition entries to ensure they're safe and compliant with US laws. Sponsor the site: We can feature your brand logo on CocktailSafe for an annual sponsorship. Premier sponsors will appear on every page of the site, much like the Tales of the Cocktail logo does now. Custom Safety: Build a mini-site or mini-book for your group, brand, or cocktail competition with a subset of information catering to your needs. Sponsor printing costs: You can support developing and printing the material from CocktailSafe into book form for sale or to give away. Associated costs will be for editing, graphic design, printing, and potentially mailing. We're happy to talk about CocktailSafe. Please drop us a line. Have you made a change at your bar due to something you learned on CocktailSafe, or helped another bar make positive changes based on the site? If so, we'd love if you'd share the success story with us! We can keep the specific bar/restaurant name confidential if you'd like. This information may help us with future grants and fundraising to support the site. Send us a note to tell us your success.